Connecticut's economy and environment would both benefit from a clear, unified energy policy that fosters energy efficiency and the growth of renewable power sources and industries, while under the direction of the new state agency being proposed to spearhead the effort. So said Daniel C. Esty, acting commissioner of the state Department of Environmental Protection, during testimony Monday to the state legislature's Environment Committee on a proposal to merge the environmental and energy functions of state government into the state Department of Energy and Environmental Protection. The DEEP, proposed as part of Gov. Dannel P. Malloy's budget plan, would bring together the natural resource, conservation and environmental regulation areas now under the DEP with the energy regulation and utility oversight responsibilities now divided between several different state agencies. State Sen. Edward Meyer, D-Guilford, committee co-chairman, said the merger would be "an historic moment" for Connecticut. "We need a coherent approach to energy policy," Esty told the committee, adding that the agency would be "a platform to drive jobs back into the state" by working to lower energy rates, reduce energy use through efficiency and encourage private-sector energy-related innovations. "My goal is not just clean energy but cheap clean energy, and we need incentives to make sure there is private sector investment," he said. "We want a technology race with solar and wind power and geothermal and all the other options including fossil fuels with carbon capture and storage. The goal over time is to get to the point where renewables are cheaper than fossil fuels." Later in the hearing, Eric Brown, associate counsel at the Connecticut Business and Industry Association, said his group backs the creation of the DEEP because it would develop a state energy policy and work for lower energy costs. CBIA's support, however, is not unqualified. Brown said there is concern about how the "natural tensions" between environmental and energy interests would be resolved in the new agency, and that the environmental side would dominate. "There is some anxiety about how these competing priorities will play out," he said. In response to a question from the committee, Esty assured the members that the traditional DEP responsibilities over environmental regulation and natural resources would not get short shrift over energy initiatives in the new agency. Care of state parks and forests, enforcement of environmental laws, wildlife management and protection and outdoor recreation will remain a core mission of the DEEP, he said. "Support for the environment generally depends on people feeling connected to natural resources" through activities such as hunting, fishing, bird watching, hiking and mountain biking, he said. After Esty's testimony, speakers representing several environmental groups said they support the new agency, with one key exception. Malloy's proposal would fold into the DEEP the Council on Environmental Quality, a two-person agency charged with independently evaluating the state's performance in enforcing environmental laws and working for improvements in air, water, open space conservation, wildlife protection and related areas. "We feel the CEQ is crucial as an independent agency," said David Sutherland, government relations director of the Connecticut Chapter of the Nature Conservancy. He gave the example of a bill regarding illegal tree cutting on state lands that got it start after a CEQ report alerted the legislature to the problem and lack of DEP enforcement. The environmental group representatives were also unanimous in opposing a second proposal being considered by the committee that would move all the conservation functions of the DEP to the state Department of Agriculture. This would include state parks and forests, outdoor recreation, wildlife management and forestry, among others. 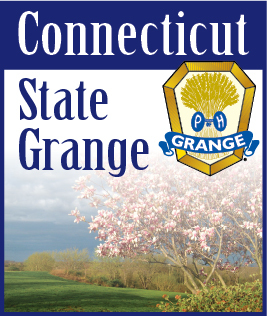 But two other speakers - Joan Nichols, government relations specialist for the Connecticut Farm Bureau, and Gordon Gibson, legislative liaison for the Connecticut State Grange - said the proposal makes sense. "It's better to put them with agriculture than to bury them deep within DEEP," said Gibson, a retired supervising property agent for the DEP.